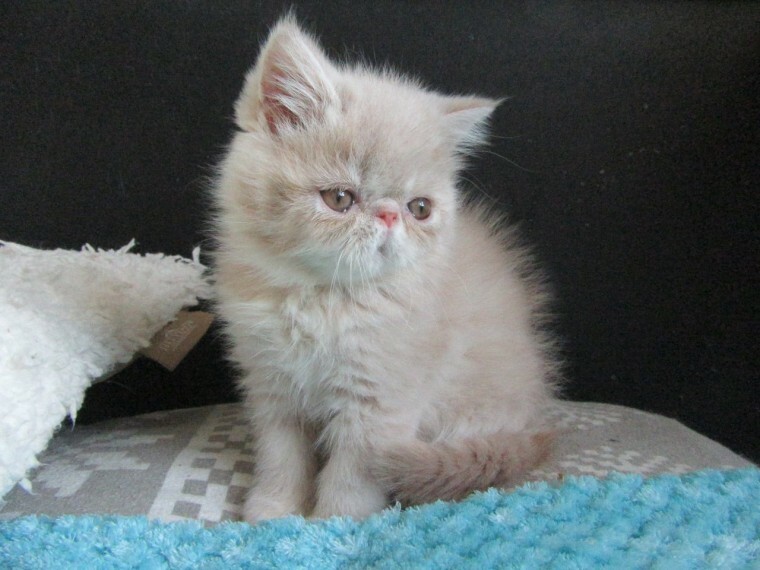 Adorable pedigree Exotic cream male kitten available mid December. This little boy is looking for a loving forever home. ideally as an indoor only cat.He is quiet but affectionate and loves playing and cuddling. My kittens are raised in a busy family home and are well handled and socialised from birth. From PKD negative parents. Will be sold registered with complete papers .FIFE. and will also be wormed. vaccinated. microchipped. vet checked AND NEUTERED inclusive in price. Sold with 4 weeks Petplan pet insurance. If you are interested. please contact me for more information and tell me a little about yourself and family including other pets. Visits to view the kitten are always welcome. All kittens will still be offered ..For Sale.. until a non.refundable deposit of 100 is received. Once a deposit is received the advert will be withdrawn and the kitten will be reserved. Thank you.